Welcome to Short Dawg Towing! Our Towing Truck Will Fit Your Needs! Stuck in a Ditch? We Are Here to Help! Flipped Your Car? We Are Accident Service Specialists! We Provide Quality Towing in All Weather Conditions! Only one call and we will be right there - our first priority is to get you back on the road fast. You will benefit from our well trained and experienced staff. You won't have to worry about your vehicle - we are extra careful. Come by and check out our late model towing equipment. Our staff always arrives with a smile! We pride ourselves in giving the best customer service! 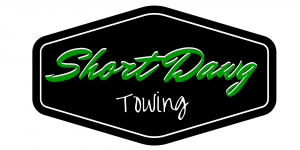 Short Dawg Towing was started in 2009 by Shannon Short and his wife, Christine. 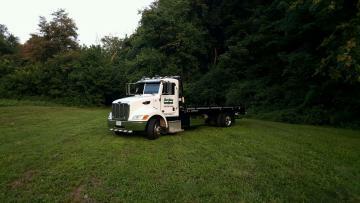 We provide 24/7 reliable and fast emergency towing, roadside and accident service throughout Morristown, TN. We also tow within Ohio, Virginia, and Kentucky - anywhere we need to go, we will tow! Check out our Facebook Page and you will see that we are a 5 Star Ranked Business.